Secure storage shouldn’t mean having to pay high prices. That’s why A Storage Inn is committed to providing affordable self-storage in Kahului, HI, without having to cut corners on security. Their wide range of storage unit options is perfect for any consumer looking to save space, whether they just have a closetful of belongings or need to store an entire vehicle. As a leading storage facility in Kahului, A Storage Inn aims to make every step of the process as simple as possible. With 10-foot high storage space ranging from 5’x6’ to 10’x’24’, you can find the best fitting unit for your belongings. Every unit is ground level, making it incredibly easy for loading those large and heavy valuables. If you need to access your items, you won’t have to work around this facility’s schedule—they offer 24-hour storage so you can get what you need night or day. 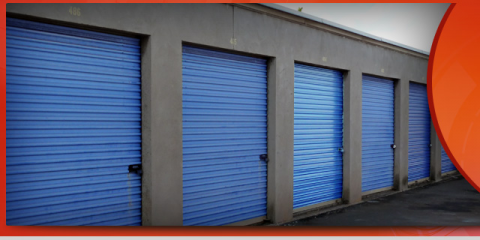 A Storage Inn is also the most affordable self-storage facility in the area, with no deposits required. Whether you need temporary storage during a move or are seeking long-term furniture storage, this facility offers flexible monthly rates for your convenience. In addition to providing versatile and cost-saving storage options, A Storage Inn offers many safe storage features. Storage units are only accessible by customers through an electric gate, and the facility is securely fenced with 24-hour video surveillance. For added peace of mind, this Kahului self-storage facility also provides night patrol. To learn more about their secure storage options, visit A Storage Inn online. You can also call this team of experts at 808-871-6478 to check on availability or ask about monthly specials. A Subsidlary of Alexander & Baldwina Inc.